below in the green is our motorcycle transport. Call today to get your motorcycle Transported. Any where inside the green is our Motorcycle Transport special main run area. We do go into the BLUE for an additional fee. We will deliver multi bike shipments up to 250 miles outside of the green area. We do offer group packages. From Coast to coast and everywhere in between. CALL US FOR A fREE MOTORCYCLE TRANSPORT QUOTE. 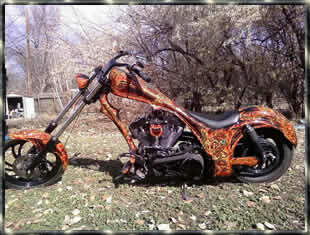 We only do the Ralleys like Sturgis, Daytona Bike week, Ect. Is if you can fill up the trailer. Which is 8-15 motorcycles depending on the size. 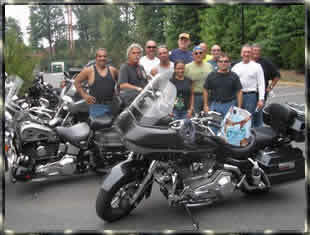 8-10 cruisers dressed up or up to 15 sport bikes. You would basically be renting out the truck and trailer with a driver for the duration of the the rally. Call for additional info. We currently are not servicing the west coast. IF YOU ARE IN THE GRAY . WE DO NOT COVER YOUR AREA. EXCEPT FOR SPECIAL CIRCUMSTANCES THAT ARE BENEFICIAL TO BOTH PARTIES. For enclosed motorcycle transport services. ID Transport also does Local Motorcycle Transport in South Florida. Here are some but not all cities serviced. Pompano Beach, Boca Raton, West Palm Beach, Deerfield Beach, Miami and Miami Beach, Kendall, Homestead, Plantation, Sunrise, Oakland Park, Delray, Boynton Beach, Lantana, Hollywood, Fort Lauderdale. We Transport Motorcycles with trucks leaving weekly from Broward, Dade and Palm Beach counties. Call us for Motorcycle transport cost. 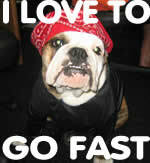 ID Transport is a motorcycle only shipping company. ID Transport's motorcycle transport coverage area- Motorcycle Transport. It's all we do! !